Hitchcock’s reimagining of his 1934 film, and the only remake of his career, starring Doris Day and James Stewart, appears on the surface to be a cloak-and-dagger thriller. This paper argues that there are also several elements of domestic drama within the film, and that the various conflicts between the characters and their world, and between each other, contribute to the theme of identity. Hitchcock explores the theme of identity in this film through the utilization of landscape, disguise, and sound. The imposing landscapes from Morocco and London present enmity against and between the couple in the face of their son’s kidnapping and involvement in an international coup. Disguises are ubiquitous throughout the film, playing a key role in the plot as well as in exploring the concept of one’s true versus presented identity. Hitchcock’s employment of sound, particularly in the songs “Que Sera, Sera” and “Storm Cloud Cantata” also serve pivotal roles in the plot while also highlighting the efflorescence of one’s true identity. Hitchcock skillfully uses these three elements in the film in order to show how adversity shapes a person’s identity, and how the audience empathizes with the characters and examine their own identities. This entry was posted in Student Projects on May 4, 2014 by Daniel Hawkins. Cristoph Girardet and Matthias Müller created a compilation of short films titled the Phoenix Tapes. Released in 1999, the Phoenix Tapes. Created from clips and images from Hitchcock’s films, the Phoenix Tapes is split into five parts, each with its own theme. The artists examine Hitchcock’s attention to detail and his use of symbolism. The universally recognized and interpreted signals communicated in the smallest period of time captivated Girardet and Müller. Hitchcock’s “pure cinema” is capable of igniting a deep and emotional reaction within each viewer without using any dialogue or music. A single movement or expression can indicate an entire emotion in another person, an intent. These details with which Hitchcock was obsessed encompass the entire spectrum of the human experience in a second or less. This entry was posted in Hitchcock and Contemporary Art on April 21, 2014 by Daniel Hawkins. Hitchcock’s psychological suspense Shadow of a Doubt (1943) has spurred an entire sub-genre of films. Being forced to live alongside a murderer whom everyone likes, be it a relative or a neighbor, inevitably results in the attempted murder of the potential snitch. There are a number of films like this one, but the most remarkably similar in story and style has to be Joseph Ruben’s 1993 film The Good Son. When Mark (Elijah Wood) must stay with his aunt and uncle, one of his cousins, Henry (Macaulay Culkin), seems a little odd. Henry is very polite, nice, and generally well-liked. He and Mark are even the same age, and the two seem to get along at first. Mark learns that a few months before his visit, his three year-old cousin, Richard, drowned in the bathtub. Mark’s first big hint is how Henry talks about death. From there, things go downhill quickly. Henry’s excursions with his cousin consist of strange, disturbing, and even deadly activities. Mark grows even more fearful of Henry when he reveals that baby Richard’s death was not an accident. Unfortunately, Henry is such a perfect son that Mark’s accusations go completely dismissed. Outnumbered and labeled as hysterical, Mark can do nothing but put up with Henry’s psycopathy until he can leave his aunt and uncle’s. Eventually, Henry goes so far as to try to kill his own sister on a frozen lake. Again, no one believes Mark. The incident is ruled an accident. In the end, Mark’s aunt finally takes notice and finds a damning piece of evidence against Henry, but it is too late to save everyone. From the sordid ending to the claustrophobic, psychological tension, this film screams “Hitchcock.” The plot is so similar it can almost be called a rip-off, though Joseph Ruben does vary the story quite a bit. The filming style is not overtly gruesome or grotesque. It does not go for “shock value,” but rather psychological value. As in Shadow of a Doubt, the family’s refusal to see beyond the façade of their beloved relative proves deadly. While it was panned by critics for being too violent for children (and too violent a film for children to play in), the performances of young Wood and Culkin remain praised. From start to finish, this film is rife with Hitchcock’s legacy. This entry was posted in Hithcock's Legacy on April 6, 2014 by Daniel Hawkins. Hitchcock’s Vertigo has received mixed reviews ever since it debuted in 1958. As time went on, Truffaut’s ideas toward Hitchcock gained more popularity, and today, the film has near-universal praise. The British Film Institute even deposed Citizen Kane, placing Vertigo at the top of the greatest films. Roger Ebert gushes over the film, calling it “one of the two or three best films Hitchcock ever made.” I completely agree with Mr. Ebert here, yet I have reservations about placing Vertigo as high as the British Film Institute has. Ebert points particularly to the final scenes of the film as an extremely emotional tug in favor of both Stewart’s character and of Novak’s. Deeper than that, Ebert points to the emotional and psychological conflicts present within Stewart’s character as parallel to Hitchcock’s own psyche. Ebert also praises the nightmare sequence, as a manifestation of Hitchcock’s own fears and desires transformed into this story. I agree with Ebert in this aspect. On both the superficial layer and under the film’s skin, there is something very haunting about Vertigo. As in a nightmare, things are not laid out nicely from start to finish, with clear-cut friends and foes. The fight between ideals and reality within our own minds is carried out to its most horrible conclusion in this work. However, there is something fundamentally lacking. For its great achievements, I cannot give Vertigo the same prestige the British Film Institute has. Though it may be one of Hitchcock’s more probing and brave films, there are others that triumph greater in terms of writing, acting, and technicality. Perhaps Psycho or Strangers on a Train should win out over Vertigo. Regardless, the meandering stretches of inaction do not create a sense of suspense for me. Instead, I feel a great sense of wandering malaise where there should be suspense and dread. Perhaps I am alone in this interpretation, yet many of the original reviews of the film had a similar perspective. For every brilliant scene there seems to be a lulling counterpart where I lose focus. When I watch it, I cannot help but feel that there should be something more inside this film, that it should pack a greater punch. In any case, this film is truly one of Hitchcock’s greatest, but perhaps not the greatest. Certainly it does not stand above every great film ever created. This entry was posted in Views on Vertigo on March 28, 2014 by Daniel Hawkins. We all know Hitchcock has a deep fixation on murder. One of the world’s first and most prominent filmmakers, Hitchcock didn’t choose an easy route. Comedy, romance, and melodrama all had mass appeal at the time, but for Hitchcock, there was no other choice than suspense. If he didn’t seem like enough of an innovator, this was a time when the concept of movie genres was still being explored. It is thanks to Hitchcock that we even have horror, thrillers, and a number of other sub-genres we cherish today. It’s easy to conclude an analyzation of this theme by pointing to Hitchcock’s childhood and unresolved psychological issues. Of course in order to be a filmmaker of this kind (and of his caliber), he must have had some kind of personal motivation behind it. Murder isn’t an easy subject to dedicate your life’s work. But it wasn’t just Hitchcock, was it? He had an audience, didn’t he? Don’t we still love his films today? Doesn’t his genre (no matter how perverted) still hold sway over us? In order to make the films he did, Hitchcock knew one thing: we’re all sickos. 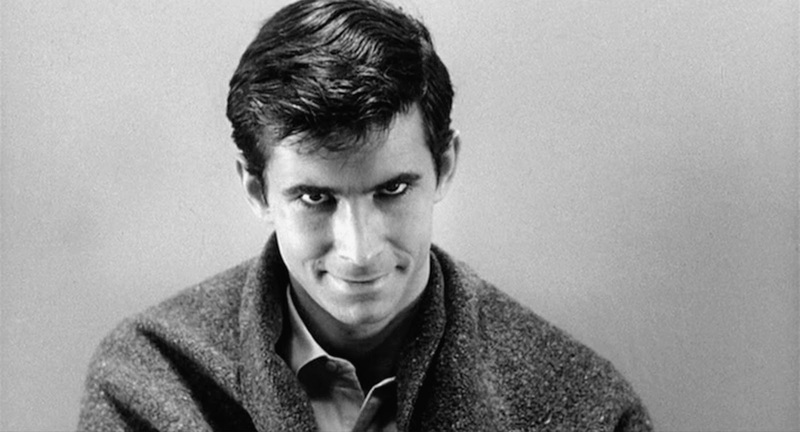 From Shakespeare to Poe, entertainers have always had a knack for pinpointing that special place in our heads where we harbor our inner psychopaths. While we want to stand up and scream “don’t go in there, you idiot!” yet we also can’t help but relish the cringeworthy moment when the murderer finally carries out the act. And while we cling to the edge of our seats for the detective to catch the perp, we can’t help but wonder “would it be so bad if he/she got away with it this time?” We love to hate the villain. This is a time-tested trope to us, but to Hitchcock’s audience, it was something more than a guilty pleasure. The silver screen changed the way people consumed entertainment. Where someone could cling to a book from the comfort of their home, their feelings hidden from all, hiding your perverse emotions is a little more difficult in a crowded theater. For example, do we laugh when Herb and Joe discuss the perfect murder in their suburban home? Who are we supposed to empathize with? It was frightening. In the case of murder this is especially interesting. Robbery or blackmail may not be easy to go back on, but it is possible. Murder is the most permanent act imaginable. Madness, passion, downright psychopathy – these things are so powerful that they can convince someone to end the life of another is so strong within the human psyche, and we just can’t help but love it. Hitchcock knew this completely. And, I like to think, he laughed. This entry was posted in Hitchcock Themes on March 21, 2014 by Daniel Hawkins.